Ukrainian President Petro Poroshenko had a busy agenda during his Nov. 3 visit to Istanbul, where he presided over the 7th meeting of the high-level strategic council between the two nations. This group was founded in 2011 and has shown concrete achievements, including the removal of visas between the two countries that year. Ukrainian-Turkish economic and political relations have developed and deepened at an incredible pace since 2014. Before Poroshenko’s visit, fresh results were achieved in many areas. Since June 2017, it has been possible for citizens of both countries to travel by their identification cards. The number of countries to which the citizens of Turkey and Ukraine can travel in the world using only ID cards can be counted on the fingers of one hand. In recent years, successive records have been broken in the number of Ukrainian citizens who visit Turkey. Last year, 1.3 million Ukrainians visited Turkey; more are expected to visit this year. Similarly, 250,000 Turkish citizens will travel to Ukraine. Turkish television series are the most popular in Ukraine and, in Turkey, the first Ukrainian language and literature department was inaugurated last year at İstanbul University, the oldest one in Turkey. And the Kyiv branch of Yunus Emre Institute, established by Turkey to promote and teach the Turkish language abroad, was launched last year. 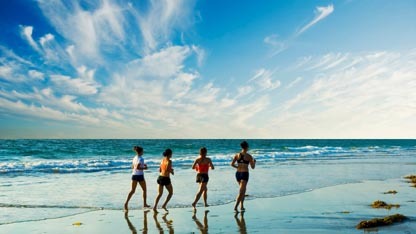 Today the relations in cultural affairs and tourism are preeminent. From the economic point of view, there are 600 Turkish companies active in Ukraine and the total Turkish capital has reached $2.5 billion. Besides, $800 million in investment have come after 2014. During this period, Turkey has been one of the three foreign countries with the highest capital investment in Ukraine. After the July 2014 shoot-down of Malaysian Airlines Flight 17, killing all 298 people on board, and the economic crises, many airline companies stopped or reduced frequency of their flights to Ukraine in 2014–15. But Turkish Airlines became the first air carrier to schedule international flights to cities like Zaporizhia and Kherson during those harsh times of the Ukrainian airline industry. Likewise, it has also started flights to cities like Kharkiv and Ivano-Frankivsk and has contributed to the economies of those regions. Turkish construction companies have, to date, completed projects with a total amount of $6 billion. Those including work to the main terminal of Kyiv Boryspil International Airport, a leading-edge stadium in the country, hundreds of thousands square meters of living space, five-star hotels, hundreds of kilometers of highways and Turkey has taken the first place among foreign construction companies. Still, construction of kilometers of highways, metro and shopping malls is continuing. Unfortunately, however, bilateral trade volume is not at desired levels. Bilateral trade reached $8 billion before 2008 the global financial crises. This year, trade may hit only $4 billion, despite a 20 percent increase over the previous year. The volume still lags behind the activity before the EuroMaidan Revolution that drove President Viktor Yanukovych from power on Feb. 22, 2014. Ukraine’s trade with countries like Germany and Poland marches towards historic records because of the European Union-Ukraine free trade agreement. However, it is also a fact that the composition of foreign trade between Turkey and Ukraine has changed. It has become more diversified and healthier in the last five years. As a matter of fact, defense industry products have also contributed to this diversification. Turkey and Ukraine have parallel opinions and joint interests on many issues. But unless closer integration can be achieved by means of a free trade agreement, it shall not be so easy to keep the relationship at such a high level. The free trade agreement was the primary issue on Poroshenko’s agenda during his visit to Turkey. So, what happened during the visit? Poroshenko was presented a degree of honorary doctorate by İstanbul University and Poroshenko opened the symbolic monumental plaque hung on the wall of the building where for Embassy of the People’s Republic of Ukraine used to be located in İstanbul between 1919–22, during Ukraine’s short-lived national independence then. Exactly 100 years ago, Turkey was among the countries which recognized and supported Ukraine first. A cooperation agreement has been signed between the defense industry institutions of both countries. The status of the Turkish Cooperation Coordination Agency has been fortified by the accords signed, to enable it to provide more contribution to the development process of Ukraine. Poroshenko has signed another cooperation agreement with the Fener Greek Patriarchate and the Ukrainian Orthodox Church has crossed another hurdle towards independence. President Recep Tayyip Erdoğan has emphasized that Turkey does not and will not recognize Russia’s illegal annexation of Crimea and has reiterated Turkey’s support for Ukraine’s sovereignty and territorial integrity. 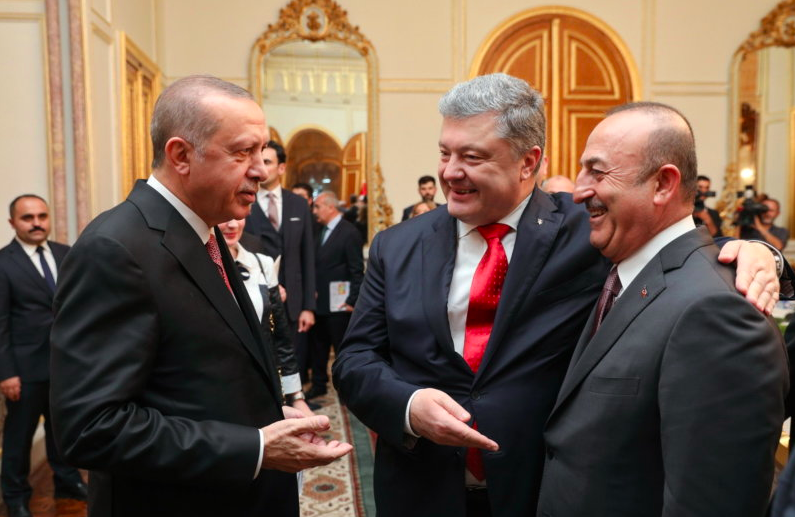 Erdoğan has played a valuable role in the return of two Ukrainian citizens of Crimean Tatar origin, and a new broader list has been presented to him by Poroshenko. Erdoğan also said, in his news conference, that the free trade agreement will be signed by the end of this year. Likewise, Ukrainian Deputy Prime Minister Hennadiy Zubko has set this explicit goal. Poroshenko made history by getting Europe to remove the visa requirement for Ukrainian travel. He has signed free trade deals with the European Union and Canada. He has paved the way for independence of Ukrainian church after 332 years. A free trade agreement between Ukraine and Turkey will also make history. As he pointed in Turkey, Poroshenko — who has always supported the Turkish business community in Ukraine — said that relations have never been better. Signing a free trade agreement removes the only obstacle left. If it happens this year, this will indeed be an historic agreement coming 20 years after it first became an issue in bilateral relations. Burak Pehlivan is chairman of the International Turkish Ukrainian Business Association, with more than 200 members.